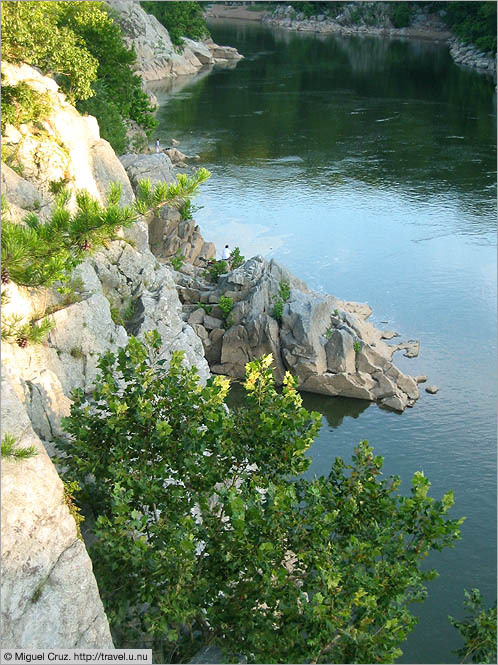 This is just a mile or so downstream of the main waterfall, along the Billy Goat Trail that provides a dramatic view of the cliffs lining the Potomac. It's also possible to climb down to the river for fishing or a picnic - a challenging but enjoyable scamper. Across the river, on the Virginia side, more serious climbers work with ropes and proper gear.